This year, Montana took a leap toward bringing the Next Generation Science Standards to the state’s K-12 teachers by kicking off its first state science teachers conference. This pilot meeting brought together more than 100 of the state’s top educators, who shared best practices with the teaching community. One of these experts was Natalia Kolnik, a native of Bozeman, Montana, who leads education programs at the Children’s Museum of Bozeman. Her program stood out among attendees (including us) not just because her programs involved designing missions to Mars, but also because of her commitment to making connections with scientists in the area. We caught up with Kolnik to learn more about how, with the help of local companies – including some that have produced components for JPL missions – she turned a JPL lesson into an exploration of careers in STEM. Tell me a bit about yourself and your teaching background. I am the director of education at the Children’s Museum of Bozeman and its STEAMlab in Bozeman, Montana. I’ve been the director there for six months, so I teach various lessons in a couple different programs for students ages 6 through 12. I was born and raised in Bozeman and earned bachelor’s degrees in journalism and fine arts from the University of Montana, Missoula. I also have a master’s in education from the University of Oxford. I’ve been teaching formal education classes to different grade levels for the last 13 years in various places around the world, including South Korea and Kosovo. What unique challenges do you face engaging or addressing the needs of your students? Teaching at the Children’s Museum is wonderful and challenging for the same reason: the diversity of the students. It’s like an educational casserole. 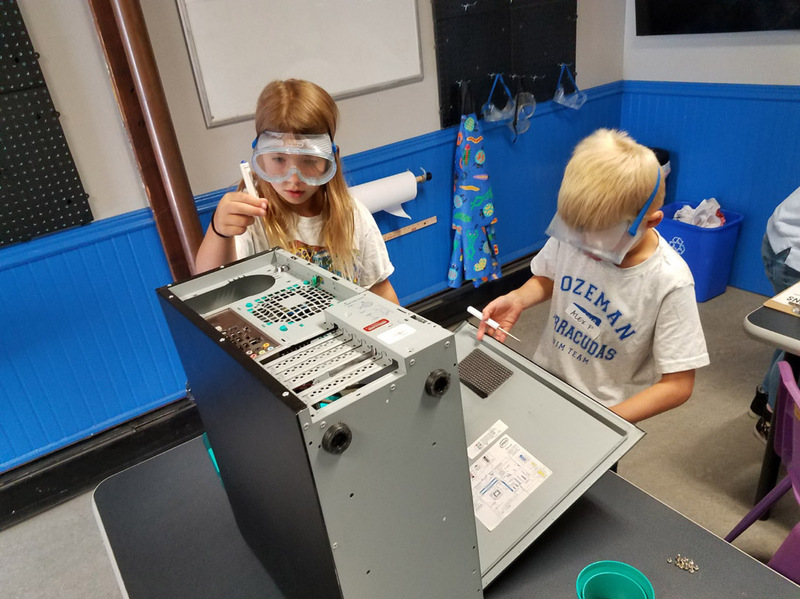 Our STEAMlab programs are primarily filled with 6- to 12-year-old students who come to us from different school districts and different towns in Montana – or even from different states and countries. During the school year, they learn in public, private and home-school settings. Since the students come with such a variety of educational backgrounds and are a variety of ages, having them all together in a program, like a summer camp, can be challenging. However, bringing various age groups together allows students of the same age to not feel left out if one of their age peers already knows the material, since it is likely that several others in the room have not encountered it either. Also, since our activities are hands-on, interactive and incorporate a high-tech element, even if students know the concepts and have done the project or activity before, they are still excited to do it again and help others. It can also be tough to work with so many new students, rather than to teach in a classroom setting, in which you’ve had months to develop relationships with the students and establish a classroom rhythm, so students know what is expected. On the other hand, because we run short programs – one day to one week – we have the luxury of flexibility and of letting the content breath. We allow students to take that extra time for exploration, reflection and redesign that might not be possible in a regular classroom setting or time frame. 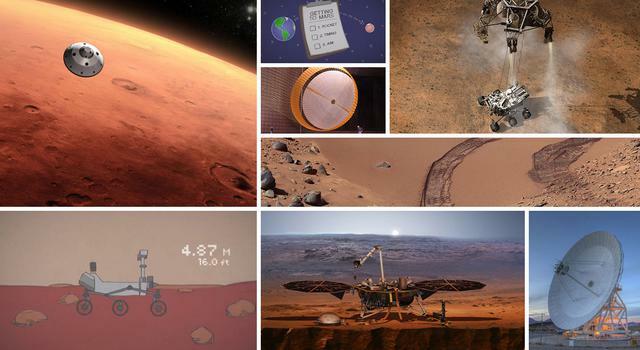 What NASA/JPL Education lessons have you been using with your students? JPL has such a wealth of resources. It is so easy to incorporate them into all kinds of STEAMlab programs. For instance, we were able to design and offer a summer camp about Mars in large part because of all of the amazing, up-to-date information available on JPL’s website about Mars missions, the planet and all the new discoveries occurring on a daily basis. Activities such as Imagine Mars allowed students to plan a trip to Mars that would allow them to arrive safely and potentially build a habitat. As part of that lesson, we had the students extend their mission by creating a board game capturing the difficulties that could arise, despite even the best planning. How did you modify the NASA/JPL Education lessons you used to best serve your specific students? Being so far from a NASA site means we need to be creative to find connections between our community and careers in science. The support of our local business community is an incredible resource for us to build that bridge. We have one such partnership with the Montana Photonics Industry Alliance, or MPIA. Since the Curiosity Mars rover has laser diodes made by Quantel, a company right here in Bozeman that’s part of MPIA, we were able to help students connect the local with the supra-global. 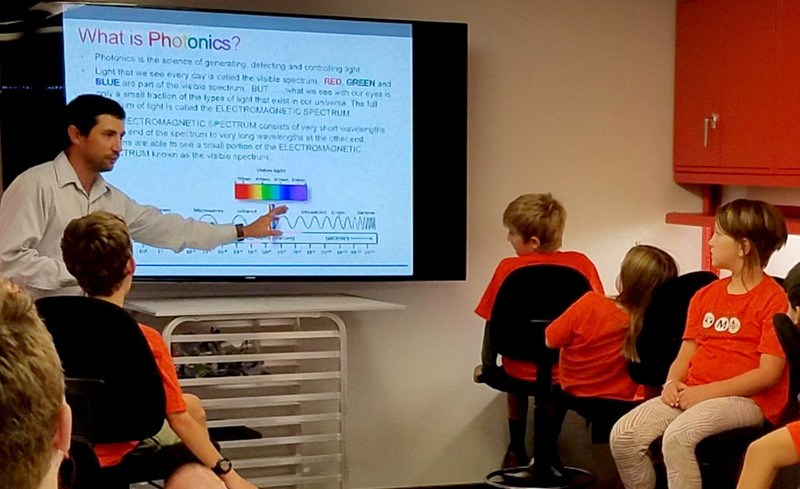 This past semester, volunteers from these photonic companies have been meeting at the museum, brainstorming, planning, designing, redesigning and creating a spectroscope activity to use as one of the museum’s field-trip programs. We used the museum’s Full STEM Ahead summer camp as a pilot test of the activity. The MPIA volunteers found light sources they work with in their jobs (that could be safely viewed by students) to demonstrate the variety of light spectra all around us. Meanwhile, I used the STEAMlab’s 3D printers to print all the end caps for the students’ spectroscopes, which are small devices capable of separating wavelengths of light into individual colors. We divided students into two age groups to observe how they might interact differently with the activity. For example, while one of the MPIA volunteers talked with half of the students about the photonics industry, ways in which photonic technology is used, and related career pathways in Bozeman, other volunteers led the rest of the students in using and understanding their spectroscopes, observing different lights and colors with their new tools. How did the activity help you meet your objectives? How did students react to the lesson? 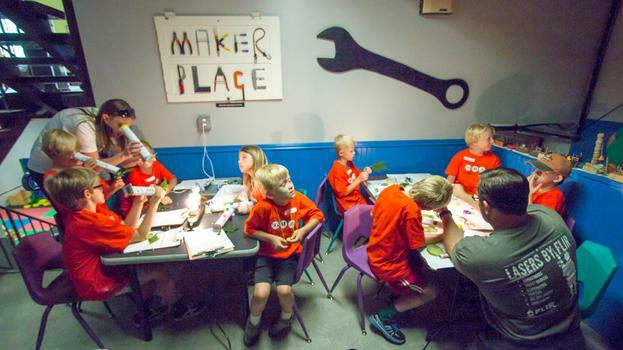 The goal for the STEAMlab is to foster an engaging, fun high-tech space in the museum where students ages 7 and older can be a part of a community of other young tech explorers, inventors and tinkerers. It’s a place to try out all kinds of ideas to fix a problem or build something new, all while reflecting and talking out the design and its challenges with friends and adult mentors nearby. And if something doesn’t work the way they intended, which happens a lot, then they’re encouraged to go ahead and try it again. I gathered feedback about the spectroscopy activities by asking students a few questions and letting them write and/or draw their answers on sticky notes, with each color representing a different question. Their responses varied depending on age but were overwhelmingly positive. All of the students were able to respond with something they remembered learning that was new to them. And their suggestions were primarily about wanting more time to decorate and experiment with their spectroscopes and wanting to talk to more people who work with lasers. I heard back from the parents of our student mentors about how their children – who had been a part of the activity as helpers – had come home talking all about lasers, how they now want to pursue a career in photonics and now they point out photonics companies that they drive past every day. Ms. Khosrovian teaches third grade at Stonehurst Magnet Elementary in Los Angeles County. 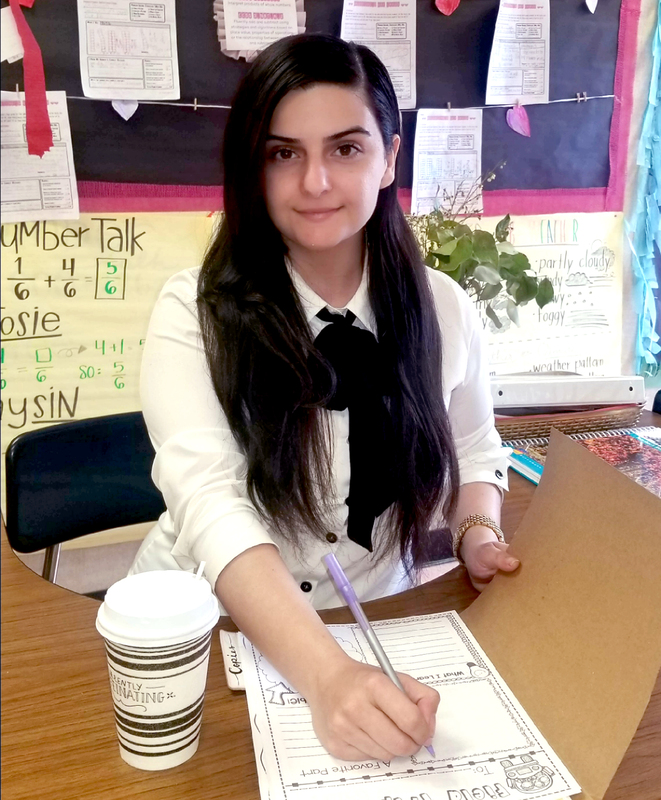 Lina Khosrovian is a first-year teacher at Stonehurst Magnet Elementary, a STEAM magnet school in Los Angeles County. She teaches third-grade students subjects including language arts, math, science and social studies. 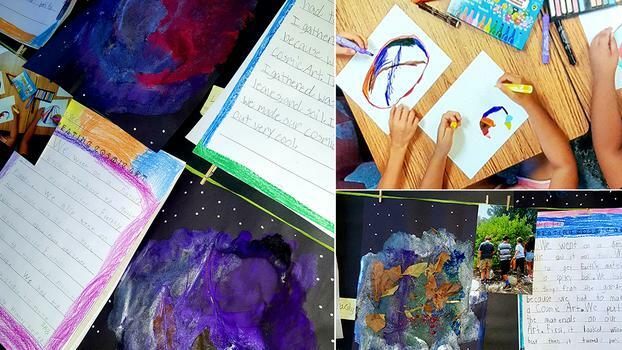 Ms. Khosrovian recently reached out about how she added her own creative spin to the JPL lesson Art and the Cosmic Connection to have it reflect her multidisciplinary classroom. I am in my first year of teaching, and I could not be more driven and excited to teach my students about all the wonders of life. I am a learner myself, and I strive to discover new and moving ways to instill knowledge upon my students. I consider myself extremely lucky to be teaching at Stonehurst, where we have a passion for teaching STEAM to our students. I especially appreciate the students’ enthusiasm for learning science. What challenges do you face engaging or addressing the needs of your students? I have found that the key to effectively and successfully teaching students is to teach what they admire, are curious or fascinated about or have an appreciation for. I always ask my students about their interests and what they would like to learn. This inspires my lessons and tends to each students’ individual interest in learning. How did you incorporate a JPL Education lesson into your classroom? 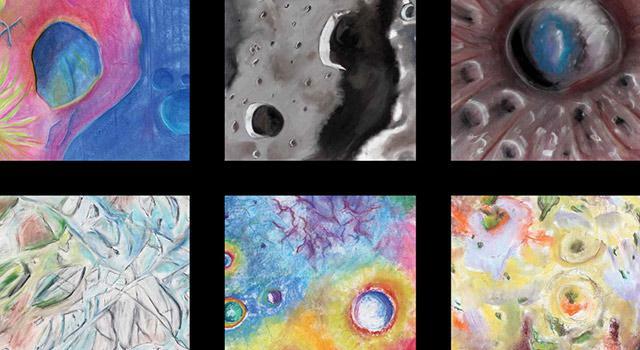 In this lesson for grades K-12, students use art to describe and recognize the geology on planetary surfaces. Brandon Rodriguez, an educator professional development specialist at NASA’s Jet Propulsion Laboratory, visited our school and presented a lesson called Art and the Cosmic Connection. After showing us images of planets, Mr. Rodriguez handed out paper, chalk, crayons and markers, and instructed us to draw our own imaginary planet. Listening to his awe-inspiring lecture, I began to think about the beautiful garden at our school and wondered how I could incorporate it into a similar activity with my students. I decided that I would have my students create their own planet inspired by the school garden. First, my students and I began to learn about different planets together, discussing the possible history of each unique world. We conversed and wrote about our theories. Then each student drew and wrote about their own, imaginary planet. Some students drew icy planets and said that the ice had melted when the planet was close to the Sun. Other students explained that the uniqueness of their planet was due to the presence of life and water. How did it help you meet your objectives? How did students react to the lesson? This lesson allowed my students to engage with the world around them and understand that planets have a uniqueness and a history that is quite remarkable. 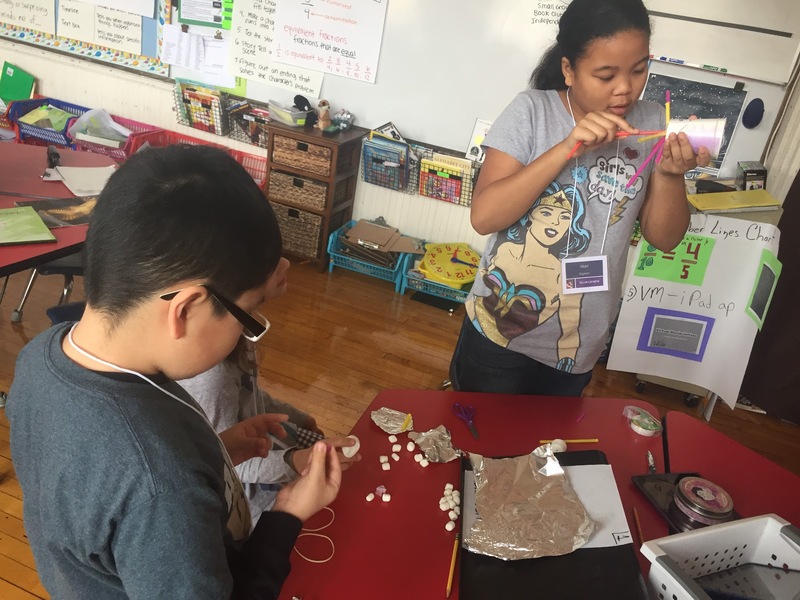 The lesson gave students a chance to discover more about their own planet and express their connection to it. I sincerely value the JPL Education lessons, activities and resources, as they are quite beneficial to teachers. Each activity and lesson provides the opportunity for students to learn and wonder. And when you’re inspired to wonder, the possibilities are endless – and so is the fun! You may already know about the online lessons and activities available from the Education Office at NASA’s Jet Propulsion Laboratory. (If not, check them out here.) But did you know that JPL and all NASA centers nationwide have an education specialist focused specifically on professional development for teachers – including how to use those online lessons in the classroom? It’s part of a program called the Educator Professional Development Collaborative, or EPDC, a free service for any K-12 classroom educator in the country. 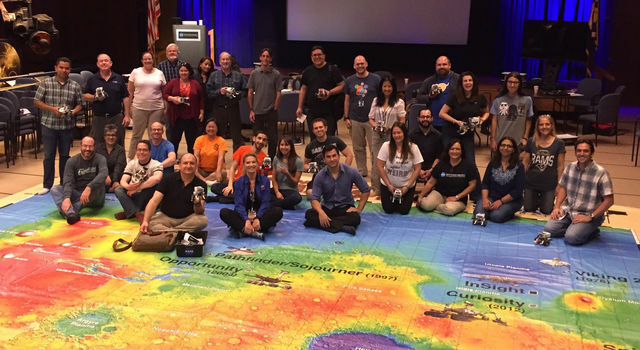 During the 2016-2017 school year, the EPDC at JPL participated in more than 120 school events focusing on teacher professional development, including implementing Next Generation Science Standards, helping schools initiate science fairs and community events, and assisting with student presentations. That number includes more than 5,000 teachers and students who worked with the EPDC on initiatives designed to get NASA science and engineering into the hands of future space explorers. As the EPDC coordinator for JPL, I schedule and help shape these events for schools and teacher preparation programs in Southern California, coordinating and consulting with educators to help them bring standards-aligned NASA STEM content into the classroom. My work and the ways in which I support educators can take many shapes. Teachers often ask me to visit during regularly scheduled professional development or early dismissal days. These represent the most common events, wherein schools choose topics or themes to focus on and the time is spent practicing hands-on activities for students. 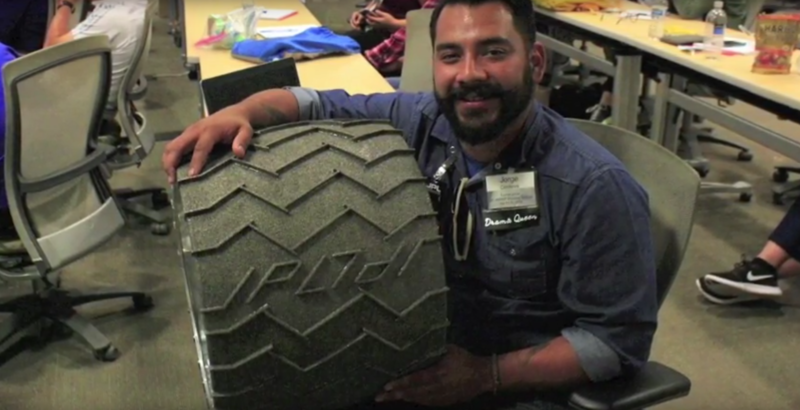 This year, teachers and schools have come up with new and especially creative formats, scheduling onsite tours and workshops at JPL for their teaching staff, or even having NASA scientists dial in to their classrooms to talk with students. One school in particular took its program to another level with the help of the EPDC at JPL by building a grade-wide, multi-week mission to Mars. 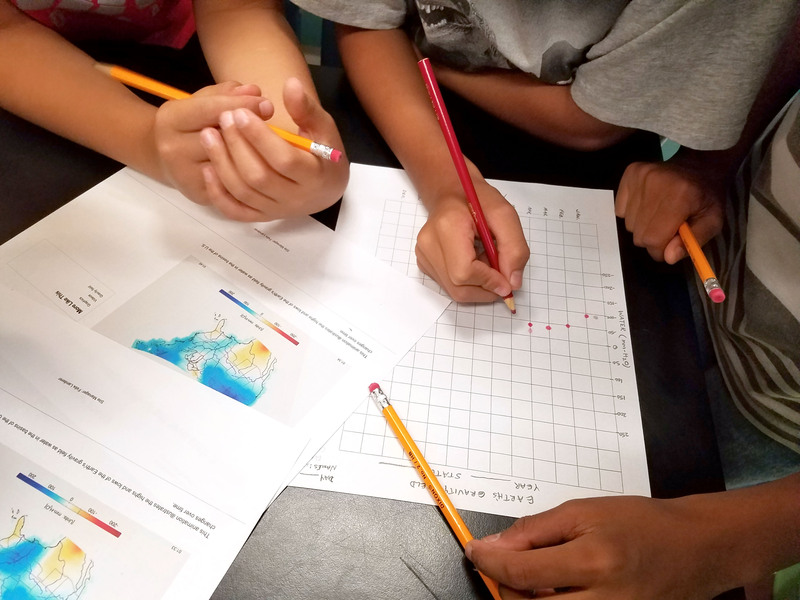 For their annual cross-curricular project, teachers at the San Fernando Institute for Applied Media in Los Angeles were hoping to create a more expansive offering that incorporated the Next Generation Science Standards, or NGSS. I met with teachers over several days to suggest activities and strategies that would meet their goal of getting students engaged in space science across numerous subject areas. Students were tasked to explore the history of space exploration and the pioneers who led the charge. 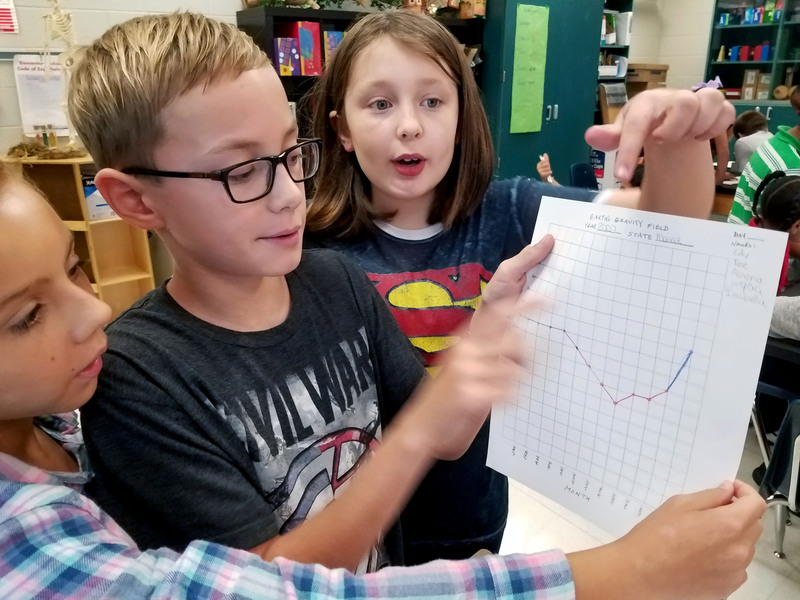 Using NASA lessons like those found on the JPL Education website, the students built conceptual models of Mars missions, including calculating the budget associated with such a trek. They then constructed robotic rovers capable of traversing a simulated Martian surface and the tools needed to interact with the local environment. But what really set the program apart was its focus on collaboration. The school thought beyond the content of the lesson itself, making NASA badges for each student and having them refer to each other as “doctor.” Students designed their own team name and logo. They also used Web-based apps to capture pictures and videos of their work during each class and posted them online, allowing groups to digitally follow the revisions and lessons learned by their classmates. As a year-end culminating event, students presented their work in front of their classmates, and I was fortunate to be in attendance to celebrate the hard work of the teachers and students. In Chicago, Burley Elementary staff reached out to me via our distance learning program to revise an existing lesson for an elementary-level special education audience. Working together, the staff and I created a project using JPL’s NGSS-aligned Touchdown lesson to demonstrate the value of the engineering design process, revision and collaboration. At the onset of the project, students were tasked to develop a spacecraft capable of landing astronauts safely on a distant planet. Each day concluded with students testing their designs and documenting the changes they made. Again, student groups captured their revisions digitally, praising others and crediting them for ideas that influenced their work. As a result, student groups learned the value of collaboration over competition. From the educator’s point of view, the evolution of students’ designs also provided a narrative for assessment: Each student group had three designs constructed along with written and recorded diaries discussing the changes they made. The rubric included analysis of their own trials as well as the peer designs that shaped their future trials, creating in-depth student storyboards. In both of these cases, the educators’ creativity, expertise and interest in creating novel opportunities for professional development and student engagement helped elevate the quality of the EPDC’s offerings and expand the scope of JPL’s STEM lessons. I’ve since been able to incorporate the ideas and strategies created during these projects into other workshops and lessons, sharing them with an even wider group of educators and classrooms. While not every collaboration between the EPDC and educators need be multi-day endeavors, even when done on a small scale, they can have a big impact. Looking to bring NASA science into your classroom or need help customizing lessons for your students and staff? The EPDC at JPL serves educators in the greater Los Angeles area. 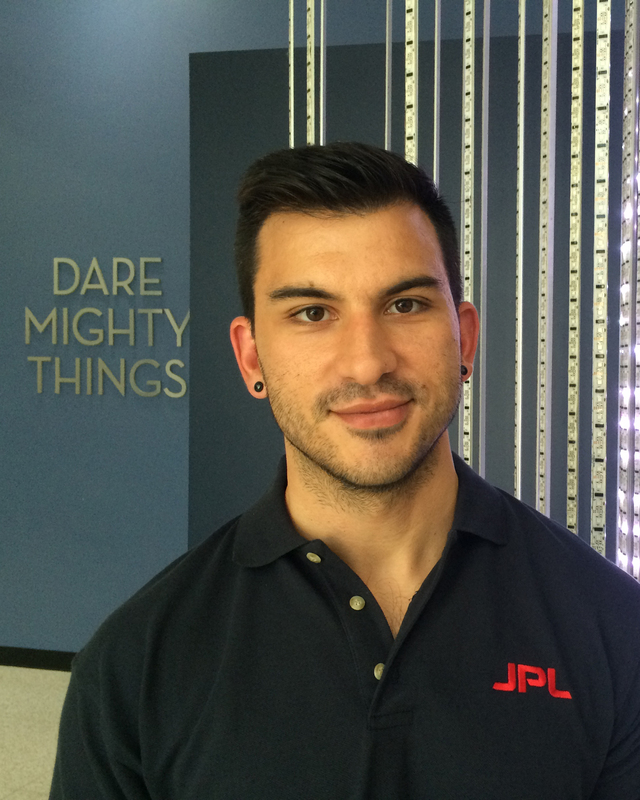 Contact JPL education specialist Brandon Rodriguez at brandon.rodriguez@jpl.nasa.gov. Note: Due to the popularity of EPDC programs, JPL may not be able to fulfill all requests. Outside the Southern California area? The EPDC operates in all 50 states. To find an EPDC specialist near you, see https://www.txstate-epdc.net/nasa-centers/. The Educator Professional Development Collaborative (EPDC) is managed by Texas State University as part of the NASA Office of Education. 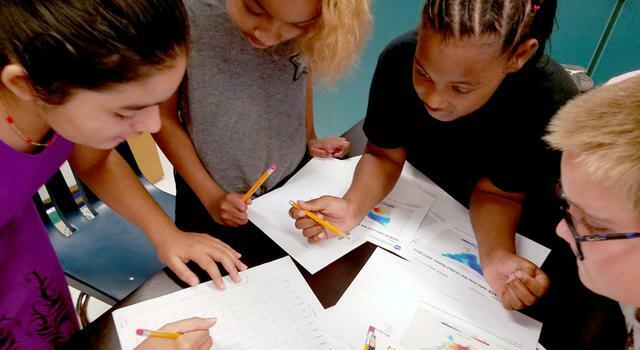 A free service for K-12 educators nationwide, the EPDC connects educators with the classroom tools and resources they need to foster students’ passion for careers in STEM and produce the next generation of scientists and engineers. 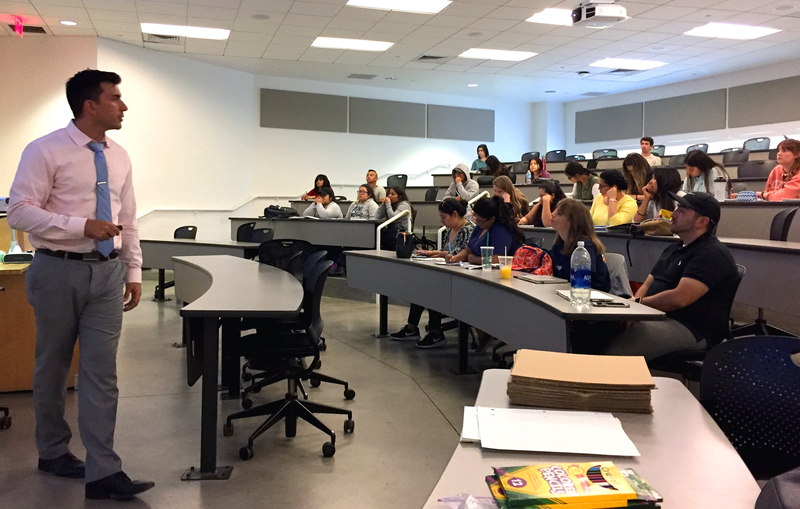 Last week, 50 university students studying to become K-12 science, technology, engineering and math teachers attended an educator institute at NASA's Jet Propulsion Laboratory as part of the agency's Minority University Research and Education Project, or MUREP. The institute is designed to provide pre-service teachers from minority-serving institutions with NASA resources and connections. During the week, participants met with science and mission team leaders to discuss topics including construction of the Mars rover Curiosity, techniques used to discover planets outside our solar system, and future plans to study Jupiter's moon Europa. They also had the opportunity to tour facilities such as the Mars Yard, where Mars mission engineers test rover maneuvers, and mission control, the national historic landmark where teams monitor the nail-biting landings of such rovers. 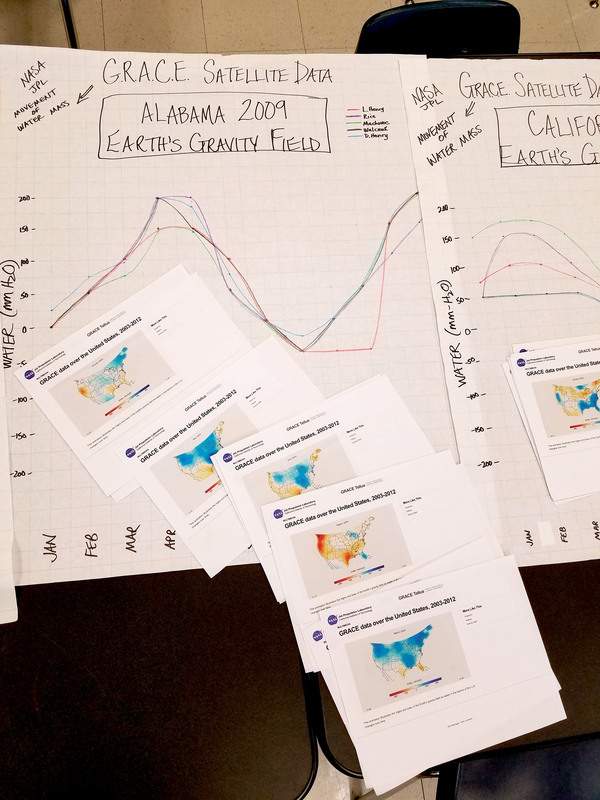 JPL education specialists walked participants through hands-on lessons and activities from the JPL Education website and demonstrated how the standards-based activities could be used in the classroom. Among the activities, participants took on a number of engineering design challenges, constructing rovers and planetary landers, and did inquiry-based planning to develop solutions for climate and water issues on Earth. See a collection of photos and videos from the week in the highlight reel above and using the hashtag #NASAMEI2016 on Twitter. To learn more about the MUREP educator institute, visit the NASA Educator Professional Development Collaborative website. More information about NASA's Minority Research and Education Project and related programs, can be found, here.